A very poplular tribute for all ages. Comes with a hand written message on the card for a more personal touch. Can be made in different sizes and colours. 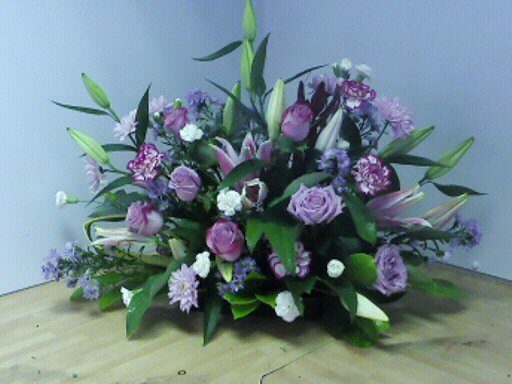 Funeral spray of fresh flowers in oasis. This is suitable for a cemetery or cremation.